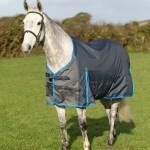 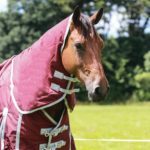 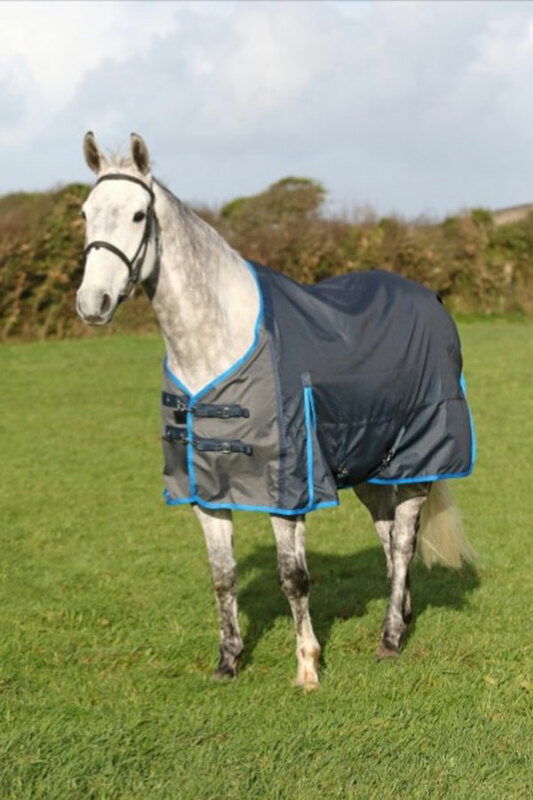 Clever neck covers that make escapes a problem of the past – fabrics simply carry the pulse from the fence through to the inside of the neck the instant they make contact with the fence – this enables your electric fence to remain highly effective even when your horse is wearing a nice thick warm neck cover. 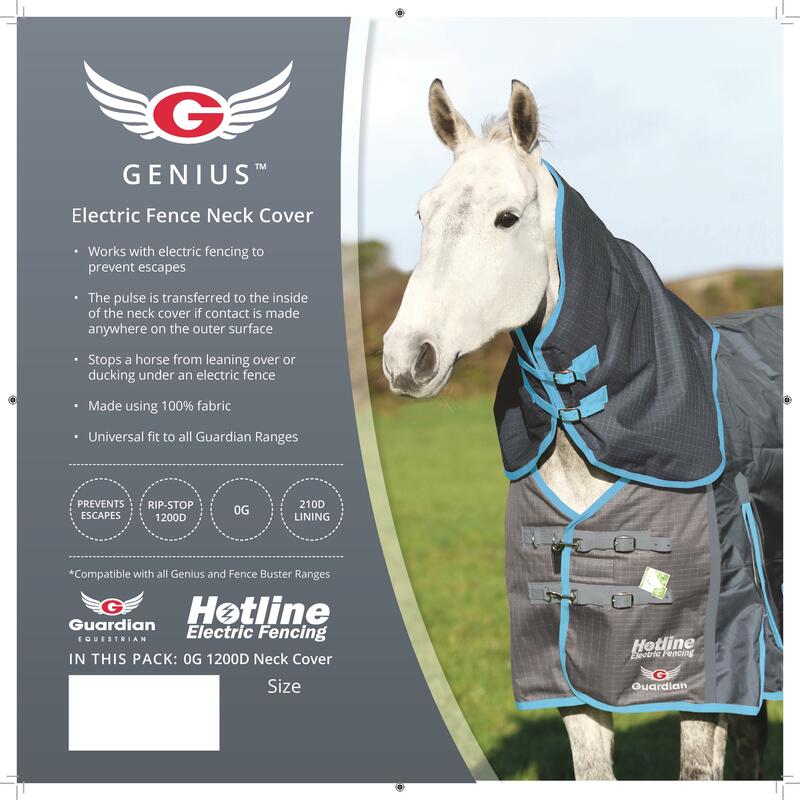 The whole outer surface works with electric fencing so your horse can’t lean over or duck under the electric fence. The pulse is transferred to the horse on a soft fabric underneath the inner lining and is placed on the underside of the horse’s neck – so even if your horse has a thick mane that normally protects them from feeling the fence, this Genius neck cover will instantly transfer the pulse onto the underside of their neck so even the toughest houdini’s are prevented from leaning over or ducking under the fence. 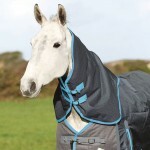 The neck cover is made using a 1200 denier rip-stop outer shell, a coat polishing 210d lining and 3000mm waterproof pu coating all selected for performance and durability. 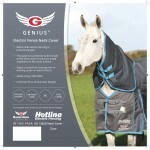 The neck cover attaches to the rug with 2 long double velcro strips on either side. 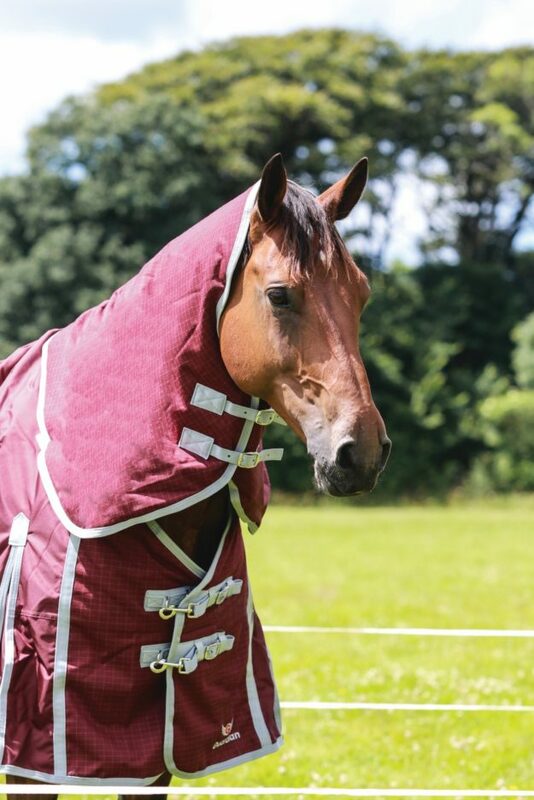 To ensure the mane is not rubbed by the neck cover there is no fastening across the withers – this design ensures the neck cover doesn’t tighten along the crest when the horse or pony has their head down eating – and therefore protects against rubbing.